Fresh week equals a fresh start and what a perfect way to kick off the next 7 days then with some MLB baseball betting and tonight we set our sights on the Colorado Rockies (41-24) versus the Pittsburgh Pirates (28-35) and we get one of the premiere teams in league against a team that has been picking up some offensive steam lately. This bet is favorable from out the gate as the opening line on the total of 8.5 has now swung a half point up to an 9 in large part to early smart money action spilling over to one side of the bet which we will gladly ride the wave of. Were getting all the right indicators for this game and that is highlighted by stats such as the total has gone OVER in 5 of Pittsburgh's last 7 games and that the total has gone OVER in 4 of Pittsburgh's last 6 games when playing Colorado giving us not only a situation specific play but also a streaking trend that should easily propel us to OVER the combined number mark we are trying to hit. The public consensus for this game is 75% in favor of the over so it will be interesting to where this bet ultimately winds up. The Colorado Rockies put up 5.26 runs this year per game on average and the Pittsburgh Pirates put up 4.22 runs on the year as a per game average so we get our favorite betting spot to be in where just the basic averages get us to where we need to go. The weather at PNC Park is looking like 86°F with a Humidity of 47%, a Cloud Cover of 30% and a Wind blowing 9 mph SW giving us a great weather scenario where the hitting should really be able to thrive. Another really favorable part of this UNDER bet is the fact that the Pirates have an extremely questionable closing staff which should go along ways towards a few extra runs being picked up by such and offensive powerhouse. One of the best parts of this pick is that we get Jameson Taillon (R) pitching who should not only be rusty coming off an injury but pitched some of his worst baseball his last healthy month collecting a 10.80 ERA for May. We also get starting pitcher Kyle Freeland (L) pitching who has a 3.18 ERA on the road so a decent amount of Pirates runs should be inevitable as well. The computer predicted score for this matchup is 10 so the OVER 9 play gets all the right leans and we even get a huge approval from the AI predictor and at a -110 juice we should be super happy to lock in this nice value in this spot for all of the reasons above. The weekend is finally here and what better way to kicks things off then with some MLB baseball and what sounds better then taking in the Toronto Blue Jays (29-31) versus the Seattle Mariners (30-31) game that showcases two good teams really trying to break through to that next level. This pick looks favorable upon initial glance as the opening line on the total of 9 has now shifted a half point down to an 8. thanks to an early sharp money push which we will confidently follow and grab some nice value on the UNDER play. The public consensus for this game is 80% in favor of the over so we get the nice general consensus and public fade that we always like to have on our side in this one as well. The Toronto Blue Jays put up 4.3 runs on average over the last 10 games and the Seattle Mariners put up 2.80 runs on average over the last 10 games so we get our favorite betting spot to be in where just the basic averages get us to where we need to go. The weather at Safeco Field is looking like Partly Cloudy with a 53°F temp, a Humidity of 78% and a Wind blowing at 7 mph S and in giving us a weather scenario where the hitting should really be slowed down given the strong inward wind. Another really favorable part of this UNDER bet is the fact that the Blue Jays have an elite closing staff which should go along ways towards the later inning runs being shut down. One of the best parts of this pick is that we get a Joe Biagini (R) pitching who has a 0.00 ERA over 5 innings this year against SEA and is sporting a 1.29 ERA for the month of June. We also get starting pitcher Sam Gaviglio (R) pitching who has been throwing solid lately with a 1.80 ERA in June giving us two pitchers who should be able to keep the score low enough to hit the UNDER easily in this spot. The computer predicted score for this matchup is 7.5 so the UNDER 8.5 play gets all the right leans while agreeing with the AI predictor and at a price of -105 juice we should be super happy to grab a bunch value in this spot for all of the reasons above. Just because we might be having the middle of the week blues does not mean we can not liven things up with some MLB baseball betting and tonight we focus in on the Houston Astros (42-17) versus the Kansas City Royals (25-32) and we get one of the premiere teams in league against one of the worst. This bet is favorable from the onset as the opening line on the total of 8 has now swung a half point up to an 8.5 in large part to early savvy money action pouring over to one side of the bet which we will gladly tail. Were getting all the right indicators for this game and that is highlighted by stats such as the total has gone OVER in 4 of Kansas City's last 6 games and that the total has gone OVER in 4 of Kansas City's last 5 games when playing Houston and that the total has gone OVER in 6 of Kansas City's last 7 games when playing at home against Houston giving us not only a situation specific play but also streaking trends that should easily shoot us to OVER the combined number we are trying to reach. The public consensus for this game is 63% in favor of the under so we get the nice general consensus and public fade that we always like to have on our side in this one as well. The Houston Astros put up 5.53 runs this year per game on average and the Kansas City Royals put up 3.61 runs on the year as a per game average so we get our favorite betting spot to be in where just the basic averages get us to where we need to go. The weather at Royals Stadium is looking like 81°F and Partially cloudy with a Humidity is 64% and a Wind blowing East-northeast at 2 mph giving us a great weather scenario where the hitting should really be able to thrive. One of the best parts of this pick is that we get Jason Vargas (L) pitching who pitched his worst baseball of the year in may sporting a 3.12 ERA an as hot and powerful as the Astros bats are right this number should only be growing tonight. We also get starting pitcher Dallas Keuchel (L) pitching who did not pitch as his normal dominant self in May either posting a 2.88 ERA which a hungry home team should be able to take advantage of. The computer predicted score for this matchup is 10.6 so the OVER 8.5 play gets all the right leans and we even get a huge approval from the AI predictor and at a +100 juice we should be super happy to lock in this nice value in this spot for all of the reasons above. Sure it might be just another manic Monday but the perfect way to break the monotony is with a little MLB baseball and that will involve us closely watching the Miami Marlins (24-31) versus the Chicago Cubs (28-27) and we one of the best home run hitting teams in League visiting a hitters park. This bet is favorable from the initial review as the opening line on the total of 7.5 has now swung a half point up to a 8 thanks to early sharp money action pouring over to one side of the bet. Were getting all the right indicators for this game and that is highlighted by stats such as the total has gone OVER in 16 of Chi Cubs's last 22 games at home and the total has gone OVER in 4 of Miami's last 6 games on the road and that the total has gone OVER in 4 of Chi Cubs's last 6 games when playing Miami giving us not only a situation specific play but also streaking trends that should easily shoot us to OVER the combined number we are trying to hit. The public consensus for this game is 64% in favor of the over so it will be interesting to watch and see where this pick finally ends up. The Miami Marlins put up 4.51 runs this year per game on average and the Chicago Cubs put up 4.64 runs on the year as a per game average so we get our favorite betting spot to be in where just the basic averages get us to where we need to go. The weather at Wrigley Field is looking like 82°F with a Blustery Wind and a Humidity of 66% with a Wind blowing North-northeast at 11 mph giving us a great weather scenario where the hitting should really be able to thrive. One of the best parts of this pick is that we get Eddie Butlero (R) pitching who has a 12.46 ERA over the last week clearly highlighting that something is way off with his game. We also get starting pitcher Dan Straily (R) pitching who has his worst performances on the road sporting a bloated 6.00 ERA when away from home this year. The computer predicted score for this matchup is 6.7 so the OVER 8 play gets all the right leans despite being slightly of from the AI predictor and at a -110 juice we should be super happy to lock in this nice value in this spot for all of the reasons above. 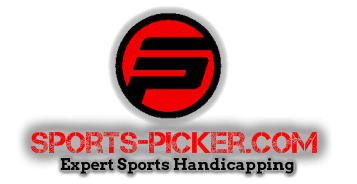 TGIF and there will be plenty of MLB baseball to kick off the weekend as we set our sights the Colorado Rockies (34-22) versus the San Diego Padres (22-33) pitting a very good team against one that has been playing strikingly better as of late. This pick jumps off the page with all the right signals of a strong bet as the opening line on the total of 8 has now shifted a half point down to an 8 thanks to an early smart money push which we will confidently tail the steam on and grab some nice value on the UNDER play. Were getting all the right indicators for this game and that is highlighted by stats such as the total has gone UNDER in 6 of San Diego's last 7 games and the total has gone UNDER in 4 of San Diego's last 5 games at home and the total has gone UNDER in 6 of San Diego's last 8 games when playing Colorado giving us a very situation specific play as well as nice overall trends that should bring our wager to the winning UNDER side given recent and historical circumstances. The public consensus for this game is 87% in favor of the over so we get the nice general consensus and public fade that we always like to have on our side in this one as well. The Colorado Rockies put up 5.04 runs on average this year and the San Diego Padres put up 3.45 runs on average during the year so we will rely on the weak offense of SD and Colorado being in a tough hitters park on the road to get us where we need to go with this pick. The weather at PETCO Park is looking like 80°F, Mostly Sunny with a Humidity of 63%, and Winds blowing at WSW 7 mph giving us a weather scenario where the hitting should really be slowed down given the perfect pitching conditions. Another really favorable part of this UNDER bet is the fact that the Rockies have an elite closing staff which should go along ways towards the later inning runs being shut down. One of the best parts of this pick is that we get a German Marquez (R) pitching who has absolute lock down pitching on the road with a 1.06 ERA. We also get starting pitcher Clayton Richard (L) pitching who has been pitching solid lately with a 4.36 ERA in May giving us two pitchers who should be able to keep the score low enough to hit the UNDER. The computer predicted score for this matchup is 7.5 so the UNDER 7.5 play gets all the right leans while agreeing with the AI predictor and at a price of -105 juice we should be super happy to grab a bunch value in this spot for all of the reasons above. Want to know one of the best ways to liven up another boring old Wednesday? By watching some MLB baseball of course and tonight we break up the monotony by focusing on the Atlanta Braves (22-28) against the Los Angeles Angels (27-28) matching us with two teams barely making strides at .500. This pick starts off with all the signs of a plus EV pick as the opening line on the total of 8.5 has now swung a half point down to a 8 thanks to an early smart money lead which we will happily tail the steam on and grab some nice value on the UNDER play. The public consensus for this game is 82% in favor of the over so we get the nice general consensus and public fade that we always like to have on our side in this one as well. The Atlanta Braves put up 4.46 runs on average this year and the Los Angeles Angels put up 4.09 runs on average during the year so we will rely on these weak offenses to get us where we need to go with this pick. The weather at Angel Stadium is looking like 67°F and Cloudy with a Humidity of 87% and a Wind blowing South 2 at mph giving us a weather scenario where the hitting should really be slowed down given the conditions. Another really favorable part of this UNDER bet is the fact that the Braves have an elite closing staff which should go along ways towards the later inning runs being shut down. One of the best parts of this pick is that we get a Jaime Garcia (L) pitching who is heating up and pitching his best ball of the season sporting a 3.12 ERA in May. We also get starting pitcher Jesse Chavez (R) pitching who pitches his best baseball at home with a 4.75 ERA giving us two pitchers who should be able to keep the score low enough to the UNDER. The computer predicted score for this matchup is 8.2 so the UNDER 8 play gets all the right leans despite being a smidgen off from the AI predictor and at a price of -115 juice we should be super happy to grab a bunch value in this spot for all of the reasons above. What is better then MLB Baseball on a Friay night, not much, and we get our fill this weekend as we set our sights on the Tampa Bay Rays (25-25) against the Minnesota Twins (25-18) and we get two of the better teams in the AL duking it out on the diamond. This bet is favorable from the outset as the opening line on the total of 8 has now swung a half point up to a 8.5 thanks to early smart money action of which we will tag along. Were getting all the right indicators for this game and that is highlighted by stats such as the total has gone OVER in 9 of Minnesota's last 13 games at home and that the total has gone OVER in 5 of Minnesota's last 5 games when playing Tampa Bay giving us not only a situation specific play but also streaking trends that should easily propel us to the combined number we are trying to hit. The public consensus for this game is 58% in favor of the under so we get the nice general consensus and public fade that we always like to have on our side in this one as well. The Tampa Bay Rays put up 4.54 runs this year per game and the Minnesota Twins put up 4.58 runs on the year as a per game average so the strong offensive showings of both teams should easily allow us to hit the OVER in this spot. The weather at Target Field is looking like 92°F and Mostly Sunny with a Humidity of 47% and a Wind is blowing E 14 mph giving us a great weather scenario where the hitting should really be able to thrive. Another really favorable part of this OVER bet is the fact that the Twins have an uncertain bullpen which allows room for plenty of late inning runs for the hot Rays bats. One of the best parts of this pick is that we get a Hector Santiago (L) pitching who has a 6.20 ERA in May and has not been picthing well as of late. We also get starting pitcher Chris Archer (R) pitching who has a 4.26 ERA in May giving us two pitchers that have been giving up more then enough runs as of late to reach lower totals like this one. The computer predicted score for this matchup is 8.2 so the OVER 8.5 play gets all the right leans despite being slightly of from the AI predictor and at a -115 juice we should be super happy to lock in this nice value in this spot for all of the reasons above. MLB Baseball has been a true pleasure to take in this season thus far and tonight we will be tuning in to the San Diego Padres (16-31) against the New York Mets (19-24) in a matchup that will see two teams who are fighting hard to turn their slow starts around. This bet starts off with all the marks of featuring some value as the opening line on the total of 8.5 has now swung a half point up to a 9 thanks to early smart money action of which we will happily trail. Were getting all the right indicators for this game and that is highlighted by stats such as the total has gone OVER in 8 of NY Mets's last 11 games and the total has gone OVER in 6 of San Diego's last 9 games and the total has gone OVER in 4 of NY Mets's last 6 games when playing at home against San Diego giving us not only a situation specific play but also streaking trends that should more often then get us where we want to be. The public consensus for this game is 69% in favor of the over so it will be interesting to see how this read plays out. San Diego Padres give up 5.36 runs this year per game and the New York Mets surrender 5.58 runs on the year as a per game average so the poor defensive showings of both teams should easily allow us to hit the OVER in this spot. The weather at Citi Field is looking like 66°F, Very cloudy with a Humidity of 73% and Wind that is blowing Northeast at 9 mph giving us a great weather scenario where the hitting should really be able to thrive. Another really favorable part of this OVER bet is the fact that the Padres have a very questionable closing staff which allows room for plenty of late inning runs for the hot Mets bats. One of the best parts of this pick is that we get a Jarred Cosart (R) pitching who gives up a .412 AVG versus lefties (6/9 Mets hitters are lefties). We also get starting pitcher Robert Gsellman (R) pitching who has a 7.41 ERA in May which leaves a lot of runs on table on any given night. The computer predicted score for this matchup is 8.4 so the OVER 9 play gets all the right leans despite being slightly of from the AI predictor and at a +100 juice we should be super happy to grab a bunch value in this spot for all of the reasons above. The Western Conference Finals NBA basketball playoff series has been a bit disappointing so far due to injuries but we will still enjoy watching the State Warriors (78-15) take on the San Antonio Spurs (69-28) in what is a pivotal elimination game . This bet is intriguing from the start as most books OVER/UNDER line opening was at 216.5 and now its pushing up to a 217.5 over / under resting spot which is very revealing as the steam and smart money direct us to a particular side. Dissecting the key stats we see that the total has gone OVER in 6 of Golden State's last 7 games on the road and the total has gone OVER in 5 of Golden State's last 6 games when playing San Antonio so we have every reasons to believe this is going to a fast paced Warriors controlled game with the Spurs playing catch up which has all the makings of an OVER. The season offensive and defensive performance statistics give us averages of 221.58 and 202.97 and with the Warriors style of basketball dominating this series we can expect the offensive numbers to bring us yet another OVER. Both teams OVER/UNDER combined record for the year is 97–93 and it will be interesting to see where this split finally lands. When it comes to pace of play Golden State is 4 and San Antonio is 27 and this should be an offensive shoot out just like the last 3 games have been. We also note that the Warriors are 4 in possessions per game (on the rise) and the Spurs the number 27 team in the league (skyrocketing right now) so once again we are going to trust the data and breakdown which is all pointing to plenty of scoring in this critical playoff game and the Spurs should have no choice once again to try an keep up with the high flying shooters on Golden State. The public consensus for this game is 65% in favor of the over so it will be very interesting to see where this one finally falls. The computer predicted scoring outcome of this game is 219 so a 217.5 OVER play given all the above looks like it should get us where we need to go with a full boost of confidence from the AI predictor brain also.